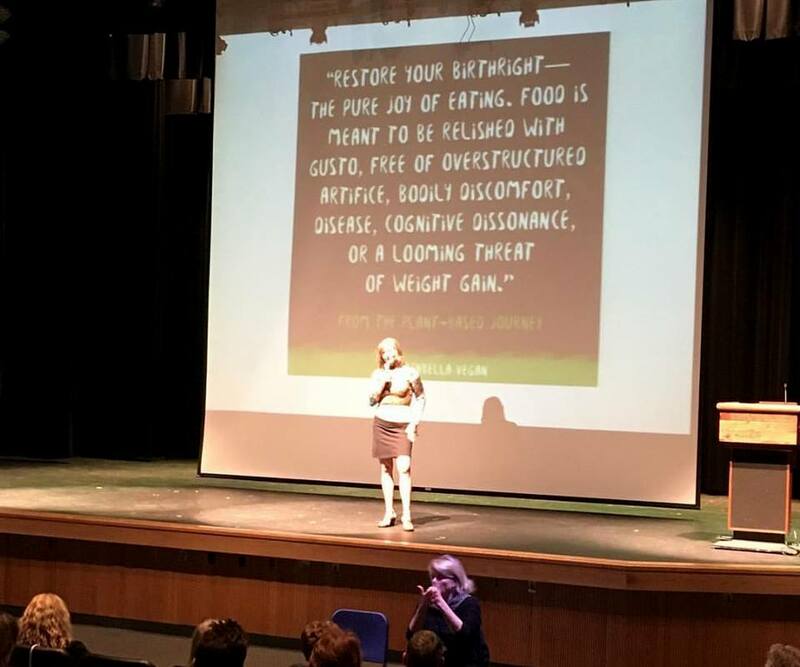 Fresh to you from its premiere at the Plant-Based Nutrition Support Group (PBNSG) presentation in Detroit, Michigan – to you! Never afraid to make a bit of a fool of myself to advance the cause! I never knew Michigan could be so much fun. I was so glad to meet many of friends from my newsletter and social media. The organizers of the event, from the PBNSG, treated me like royalty. They put me up in a deluxe hotel, shuttled me everywhere, even fed me- on multiple occasions. First stop was direct from the airport. My day had started at two a.m. when I arose to finish loading the car and take the hour and three-quarters drive to the Sacramento airport. 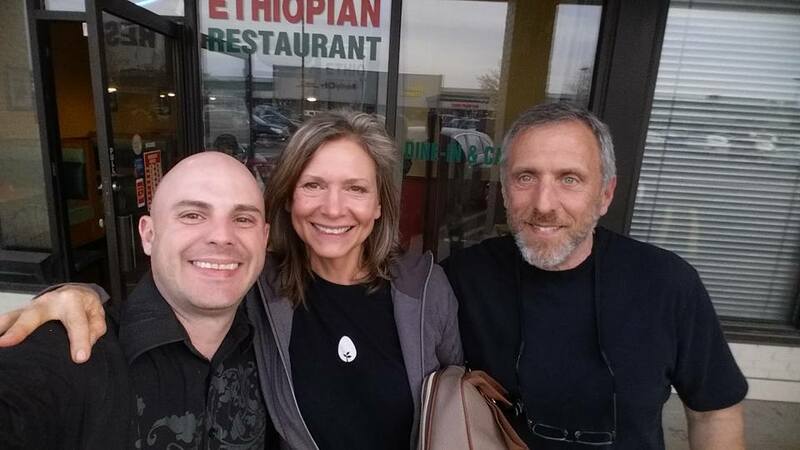 Jeremy Glogower (left in photo at right) and Paul Chatlin (right, head of the Plant-Based Nutrition Support Group) picked me up and shuttled me straight to an Ethiopian restaurant for a great meal. The perfect start to the short two days I would be in town. The next day I prepared early (right) with a good breakfast (I had brought a bag of muesli and an apple with me), exercise (Fit Quickies work perfectly in hotel rooms!) and meditation, my usual morning routine. I then hit the ground running with presentations. I had been invited to speak to the medical students at Wayne State Medical School. What an honor to be included in this venue. 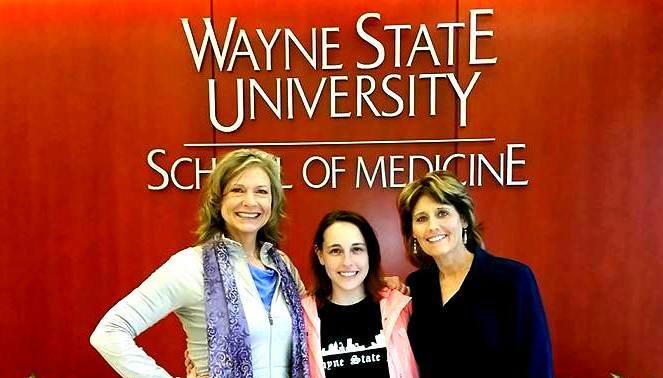 Paul Chatlin and the PBNSG have been working tirelessly to establish a plant-based nutrition unit of study in the Wayne State Medical School medical school curriculum. 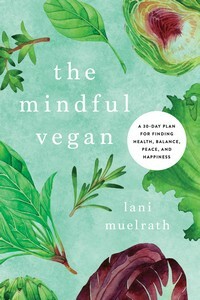 They have been writing the curriculum, bringing in monthly speakers such as Dr. Michael Greger, Dr. T. Colin Campbell, Dr. Esselstyn, and myself, among others. They also feed the medical students in attendance at these meetings a spectacularly delicious plant-based meal. Active in this monumental task are Amanda Martin (above center), second year medical student, and Dr. Kerrie Saunders (above right). Isn’t it exciting to think of more doctors being trained in plant-based nutrition while IN medical school? Hooray! 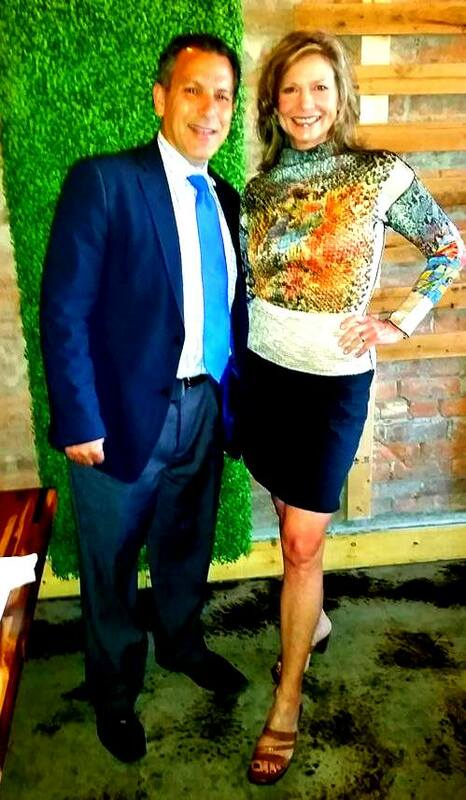 From Wayne State Medical School, it was on to dinner at Dr Joel Kahn’s (left) new vegan restaurant, Green Space Cafe. If you ever get to the Detroit area, this place is a must stop! It was a chance to catch up with Debby Knight Jones – (above, third from left). 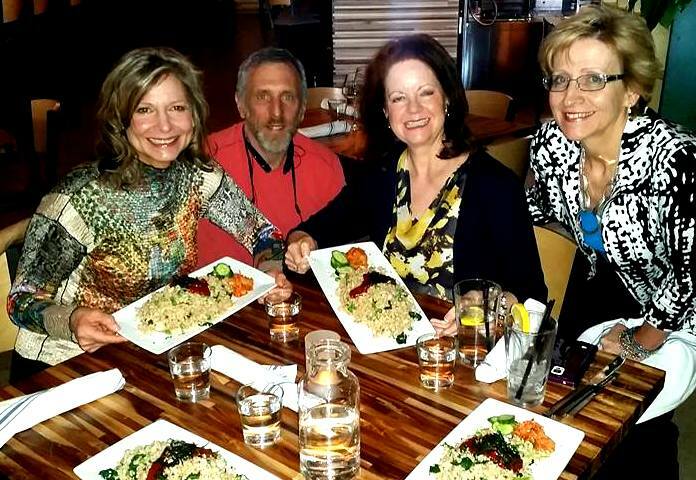 You may recognize Debby from her featured Plant-Based Transformation story in The Plant-Based Journey, and Denise Kling Pelto (far right). 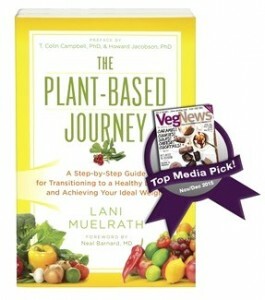 Debby and Denise recently joined plant-based forces with the creation of Plant-Healthy Gals. Their cooking classed, demos, and transition classes have been filling up fast and if you are in the area, watch their schedule for upcoming opportunities. The day culminated in a full evening program at the beautiful auditorium in at Groves High School. 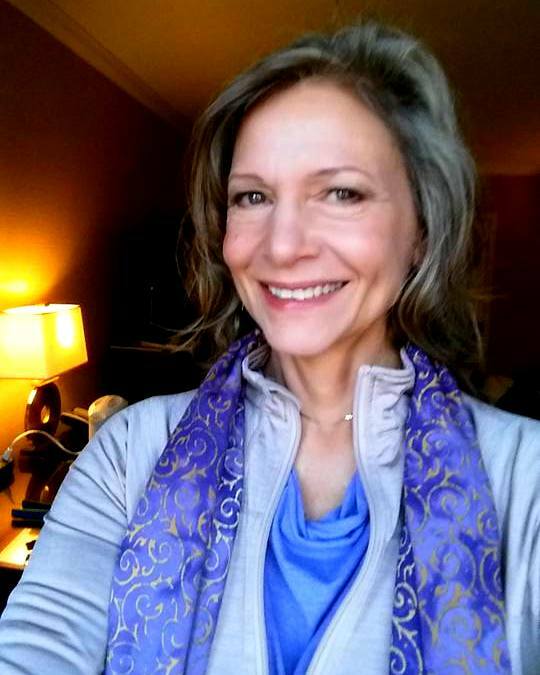 Plant-based testimonials, upcoming events announcements (I am being followed by Dr. Joel Fuhrman, who will be speaking May 4), even a couple of fitness breaks preceded my Five Steps of The Plant-Based Journey presentation. I was so pleased to see that PBNSG had enlisted the services of a signer for the hearing impaired. Everyone was in good spirits, enthusiastic about the plant-based message, filled with excitement, and even laughed at my goofy jokes and song. Thanks so much to PBNSG and Michigan for your warm hospitality and enthusiasm. Can’t wait to come back! So glad to see the news about the medical school! This must be a first? That’s great. Thanks for sharing the story about your trip to Michigan, it looks like it was a lot of fun and that there is a lot of interest for plant-based there. And I love your song! Will you be at Summerfest? I hope to come this year! I know! Isn’t it exciting about the medical school? Hopefully adding the plant-based nutrition course here will provide a model for the rest of the country. So glad you like my song and I appreciate you stopping in to say hi! Thanks Jacqui, it was so fun to do! Loved the song. Go Lani!! 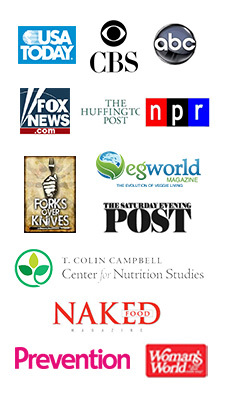 Grateful for all you do to promote plant base diets. Keep up your great work. You are helping people everywhere!! Thank you so much Pam! I am glad you like my goofy song and appreciate your kind comments more than you know.